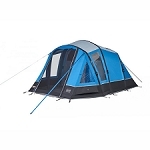 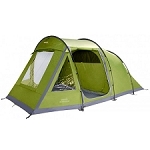 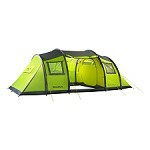 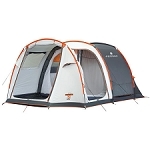 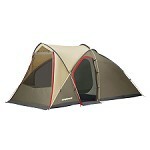 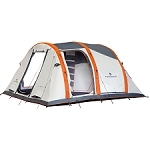 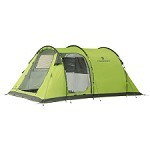 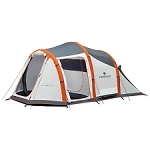 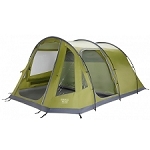 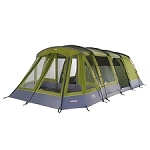 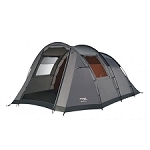 Innovative tent design with a spacious inner area and excellent ventilation. 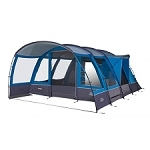 The space inside this wind stable family tent is further extended by an angled pole construction at the foot area and additional poles in the vestibule. 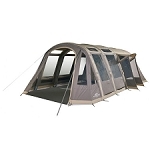 All rooms feature poles of the same length so no pole confusion can occur and pitching is easy. 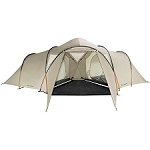 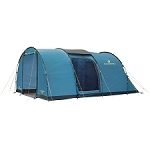 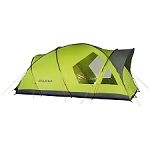 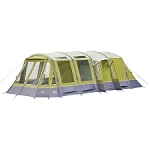 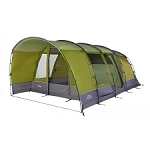 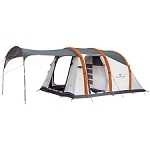 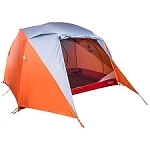 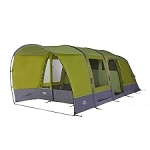 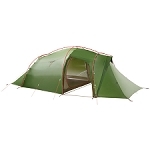 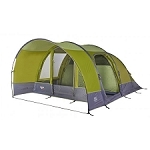 The outer pole construction lets you pitch the inner and outer tents in one step. 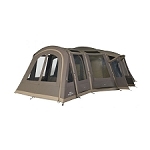 Its one-of-a-kind, immense, pole-less inner area has a central ventilation dome that helps maintain an ideal interior room climate. 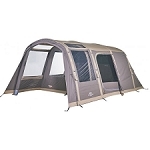 The large mesh windows foster good lighting and efficient air circulation, a practical organizer compartment contributes to keeping family life a bit more organized, and the footprint ensures that everyone keeps their feet dry.